If there was single word that could describe John Halamka, ‘stagnant’ wouldn’t exactly be in the running. It wouldn’t even be in the discussion. During his decades-long career, he has served in multiple capacities, from ED physician to Harvard professor to CIO at Beth Israel Deaconess Medical Center. Dr. Halamka has held leadership roles with several organizations, including chairman of the New England Healthcare Exchange Network (NEHEN), co-chair of the HIT Standards Committee, and co-Chair of the Massachusetts HIT Advisory Committee. He makes frequent trips to countries across the globe and spends countless hours reviewing policy materials, all as part of a lifelong goal to improve the quality of care. Stagnant, he will never be. And so, when the merger between Beth Israel Deaconess Medical Center and Lahey Clinic became official earlier this month, Dr. Halamka did some soul searching, asking himself how he could make the biggest impact at this point in his career. The answer? As Executive Director of the Health Technology Exploration Center. The role, he believes, provides an opportunity for him to share some of the many lessons he’s learned along the way with others to help advance the industry. 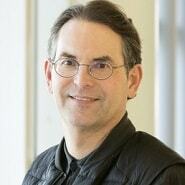 Gamble: Hi Dr. Halamka, thank you, as always, for taking some time to chat with us. To start off, can you talk about the decision process and how you ended up ultimately taking on a new role? Halamka: There are certain experiences you’ve had in your life that color your view of innovation. For example, I’m an email guy. The natural progression of my technology experience has left me in the email rut. My daughter prefers text messages; she’d never use email. And some prefer to use Facebook Messenger. The problem is, you don’t want to get stuck in a rut and become the rate-limiting step to innovation. And so it’s important that you bring in a variety of people with a variety of life experiences. You can mentor them and help them overcome some political barriers and find enablers, but you don’t want to restrict their ability to explore new ideas. That’s the notion of the Health Technology Exploration Center that I now lead; to bring in folks from different clinical disciplines with different technology experiences to explore what could be next. Gamble: Let’s talk about the organization, which was formed through the merger of Beth Israel Deaconess Medical Center and Lahey Clinic. That’s going to be a decent sized footprint. Halamka: It will be the second largest employer in the Commonwealth of Massachusetts, with about $6 billion in navigation services revenue and about 40,000 employees. BILH includes 13 hospitals, hundreds of outpatient sites, and a number of affiliations. With that type of scale, you can create a learning laboratory to explore ideas. Do we really know if machine learning, Internet of Things, and telemedicine are going to work? The technology is one thing; what about process? What about workflow? What about patient or provider acceptance, or cultural issues? To me, if you’re going to do this mentoring and bring in a coalition of innovators, you need a learning lab — and what better place for that than a $6 billion healthcare system? Gamble: Was it difficult to leave the Chief Information Officer role, particularly after having been there for so many years? Halamka: The interesting thing is, if you look at my career from the 1990s to the present, it’s gone through about five iterations. In the 90s, the CIO’s role focused on acquiring hardware, building data centers, and dealing with power and cooling. In the early 2000s, you had to be an expert in disaster recovery. Then came security issues — how are we going to keep all the data safe? What do you do when people bring in devices? And so, while I didn’t actually go from one role to another, the role I’ve served during the past decade has continuously evolved. I recently met with a team of advisors from venture capital companies, government, and the community, and the roll I believe I need to take on is that of a teacher. Because the thing that gets me excited is the ability to take a problem, understand the potential solutions, experiment, and communicate the findings. This is a sea change as much as it is an evolution. Gamble: Right. And it’s evolved into some pretty unexpected areas. Halamka: Exactly. The one thing you never want is to be stagnant. 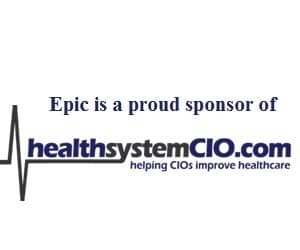 A great example is the webinar series I’ve done with healthsystemCIO. Who knew I’d be considered a blockchain expert? I certainly didn’t plan on it; it was the result of several events that have happened around us. The way I see it, you can react to events like data breaches, you can ignore them, or you can dive in and become a pilot site and figure out what works and doesn’t work. Gamble: What are some of the other areas where there’s a lot of focus on trying to figure out, as you said, what works? Halamka: Certainly artificial intelligence (AI) is one of them. I’ve been involved with a few AI projects over the past few years. At this past HIMSS conference, it was everywhere — particularly in the exhibit hall. AI and machine learning at every other booth. The question we need to ask is, what has IBM Watson done with it? Because there have been some interesting challenges. And we need to examine the use cases that have been successful and educate the industry, so we can avoid the type and focus on actual results. That’s the role I’m taking on — to mentor people, bring resources, write, speak, and travel the world, making sure I understand where there are best practices in various countries. At a recent lecture, I was asked what country offers the best healthcare. My answer was, that depends on quite a few factors. What is your disease state? Do you want to be seen tomorrow, or get an appointment for next week, but be able to get the service that you need at no cost? I need to have different perspectives, so that when people ask what we should do, I can point to what’s being done in Nordic countries or Japan or India, and use that to inform our decision-making. Gamble: Along those lines, do you feel there’s more interest now than in years past in what other countries are doing to safeguard data and engage with patients? Halamka: Absolutely, because we’re spending 17 to 18 percent of our GDP on healthcare and not getting the results we want. People are noticing that the U.K. spends half of what we do. Are they a model? Perhaps in some ways. We’re seeing a sense of urgency, for multiple reasons. We have an aging population with not enough primary care. We have a lack of access to care in certain areas. People are recognizing that just because we have the most expensive healthcare system, it doesn’t necessarily mean we have the best healthcare system. Gamble: Lack of access is definitely a big issue. Is that one of the drivers behind the trend in mergers and acquisitions? Halamka: It is. The hope is that if one systems owns the entire means of production, from inpatient to outpatient to urgent care to skilled nursing facilities or long-term post-acute-care, it’ll be able to coordinate quality and safety and cost, and get the right patient to the right setting at the right time, and at the right cost. That’s the hope of what mergers will achieve. It’s a journey. When you think about what we’ve done with Meaningful Use, with promoting interoperability, and now the new notice of proposed rulemaking — which we’ll talk about in the upcoming webinar, it’s all incremental. We try new things. Sometimes they work, sometimes they don’t, but it’s a process. Gamble: Let’s talk a bit about the CIO role. What are your thoughts on where it’s headed, and how it will continue to evolve, particularly as more C-suite positions emerge? Halamka: It’s a complicated question, and so I’ll you a complicated answer. If you really look at my role in the 90s, I was the CIO, CMIO, CTO, CSO, and chief digital officer. I wore all of those hats. Then, as we started to recognize the challenges of sustaining an architecture that was disaster-resistant, the CTO became a separate role. And as we recognized the need to get doctors to adopt new workflows, the CMIO became a separate role. As we got further into security issues in the mid-2000s, the CSO became its own role. Now everyone is realizing that the patient’s digital experience is a separate set of responsibilities; the same person charged with that can’t be focused on keeping the networks running. And so what we’re seeing is the separation of roles. It’s not that the CIO position is going away; it’s a division of labor that’s turning one role into about five roles. As I heard a colleague recently say, we used to have an e-commerce division; now it’s just commerce. There’s no digital marketing; just marketing. In the 1990s, IT was integrated into the fabric of the organization, but in 2019, IT activities basically define the organization. Gamble: And a lot of that, it seems, is being driven by patient engagement. Halamka: Absolutely. As a patient, you want to interact with apps. You want a set of services in your home that are potentially voice-enabled. You want to be healthy, and you want new processes that are more convenient than driving to a building, paying $40 to park, and sitting in a waiting room. All of those things redefine the workflow of the whole system. And so the CIO will still have a very important role; it’ll just be a very operational, strategic, air traffic-controller type of role, and there will be a team of other folks in the organization carving up some of the work. Gamble: Right. You briefly mentioned separating hype from reality, which becomes challenging for today’s health IT leaders. Does a big part of the job come down to managing expectations, particularly when it comes to things like AI? Halamka: Yes. Picking the use cases is what’s so important. If I tell you Dr. Watson is going to read five articles tonight and diagnose you tomorrow, as opposed to looking at data from a million patients like you, figuring out how they were treated, and using that to optimize your care, that’s very different. One is aspirational; a machine is smarter than a doctor. The other is realistic. If I told you that, since patients like you are on discharged in two days on average, you’ll probably go home in two days, that’s very helpful. But it doesn’t replace hundreds of years of medical science. Gamble: Right. And of course, there’s still a need for that human interaction, and for physicians to be able to show empathy when caring for people. Halamka: Right. The way I put it is, if AI can replace your doctor, AI should replace your doctor. Because we want a doctor to be respectful, empathetic and a good listener; one would hope your doctor can do that and not just digest facts and regurgitate them. Gamble: Sure. As always, a really interesting discussion. Best of luck in your new role, and we look forward to continue to work with you. Thanks so much for your time. Halamka: Of course. Thank you.